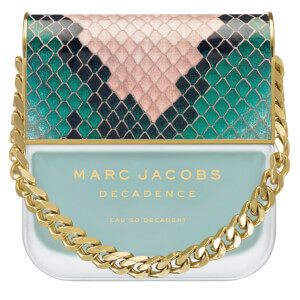 The Marc Jacobs Eau So Decadent Eau de Toilette is a sumptuous fragrance perfect for day or night. 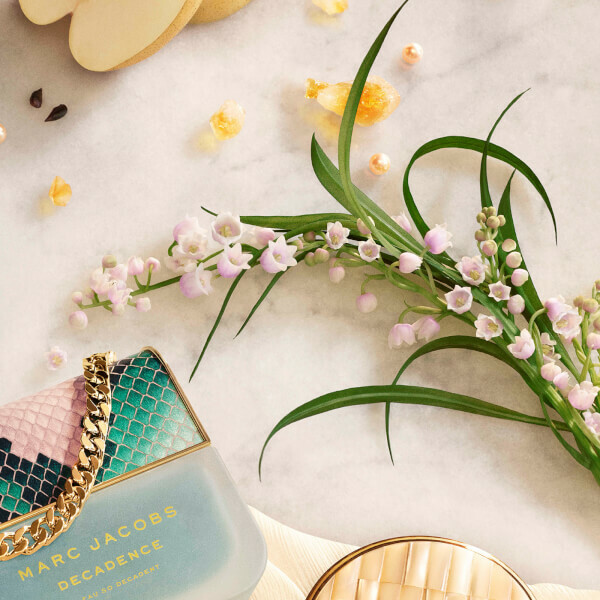 Expertly developed by perfumer Annie Buzantian, the feminine perfume opens with succulent notes of Pear and Blackcurrant, welcoming a radiant floral heart of White Jasmine, Lily-of-the-Valley and Magnolia. Sensual accords of Amber and Cashmere Wood create a soft dry down for an indulgent scent that lasts. Top Notes: Nashi Pear, Blackcurrant, Green Ivy. Heart Notes: Pink Lily-of-the-Valley, Magnolia, Jasmine. Base Notes: White Amber, Cashmere Woods, Raspberry Gloss.